Thrashy, heavy, obsessed with monsters - these are the things that we love in our death metal. 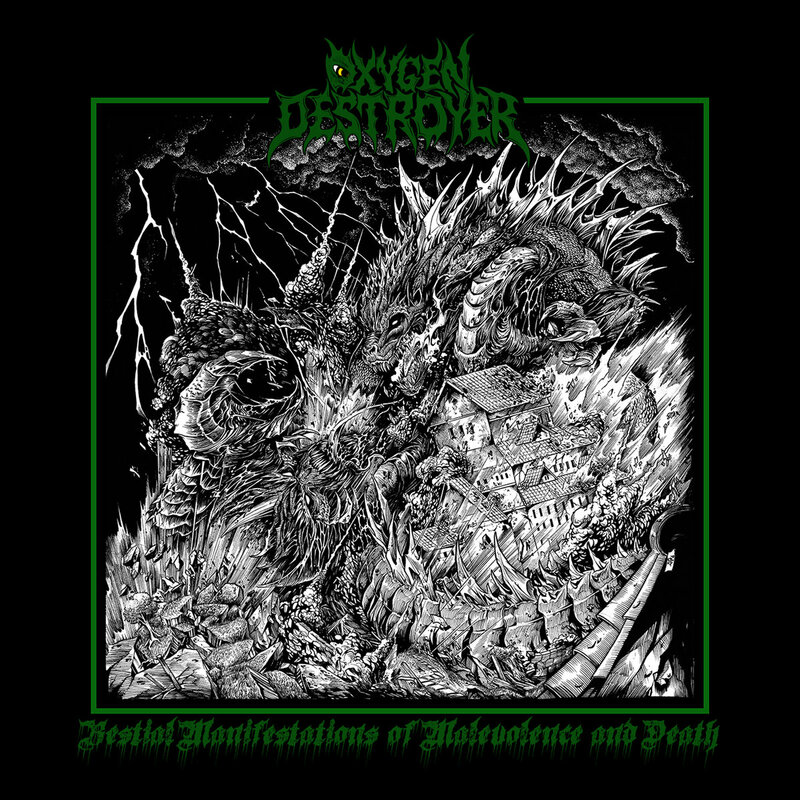 Oxygen Destroyer are more than just another death metal band, they are a legion of rippers crafting undeniable riffs with a punch and raw anger that few of their peers match. 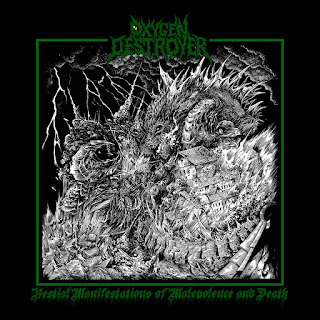 The inherent silliness of referring to themselves as 'Brutal Thrashing Kaiju Metal' aside, Oxygen Destroyer represent an approach to death metal that is unrepentant and crushing. The high power attack and manic magic of Bestial Manifestations Of Malevolence And Death is nothing short of addictive. It's important to note that these Redefining Darkness Records signees place a high premium on songwriting too. the panicked riffing which is unafraid to add touches of thrash metal into the balls out assault hints at a band who are much more than the sum of their parts. Rather than descending into chaos or embracing knuckle dragging riffs like many of their contemporaries, Bestial Manifestations Of Malevolence And Death sees Oxygen Destroyer going straight for the throat. They don't muck around with common tropes but instead revel in the bloodthirsty magic that elevates this entire genre. Full of fun riffs and mighty monsters Oxygen Destroyer melt your face with a bloody grimace of thei own. With delicious 'blechs' and soundscapes that are as terrifying as their album art this is a band who understand both the natural humor of the genre as well as the benzadrine rush that pushing things over the top can provide. Angular, taut and a whole lot of fun, Oxygen Destroyer will soon be inspiring circle pits all across the Pacific Northwest. I'm curious to see how this band evolves because the potential is stunning.